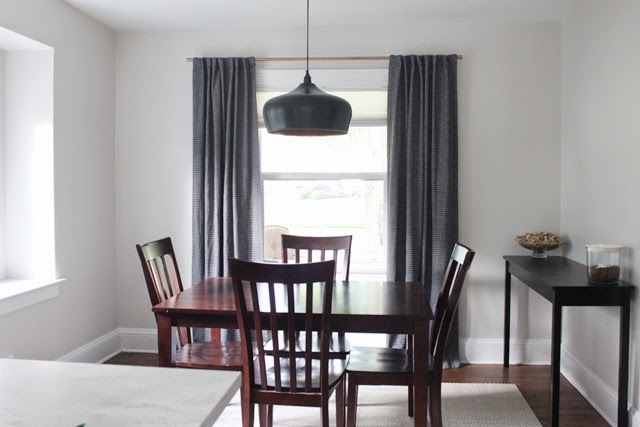 I didn't think I would be devoting a so many posts on the dining room, but I never addressed the big elephant in the room. 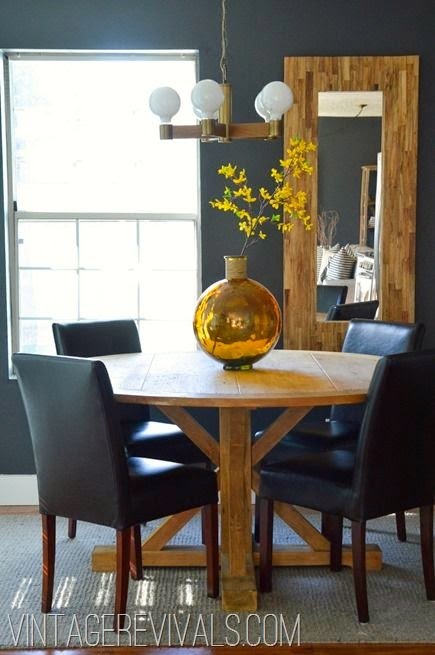 Our table was bought right after we moved into the townhouse we rented back in 2008. 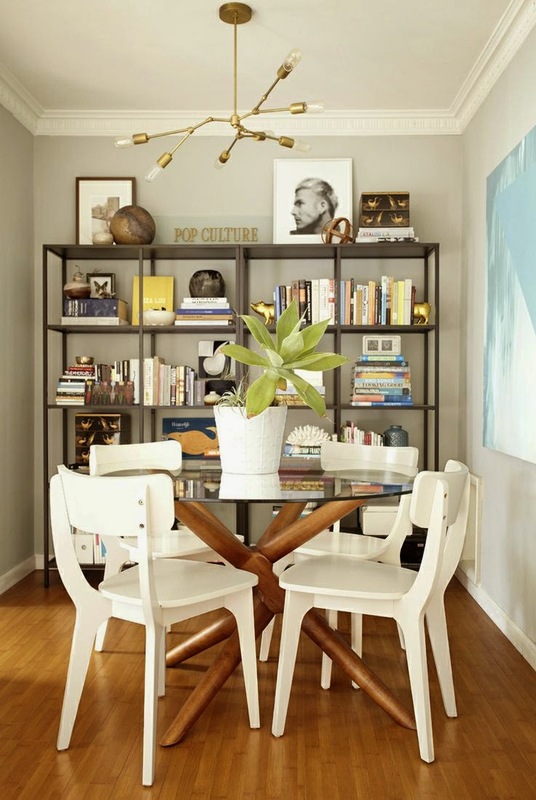 We bought it at Value City for $200 for the table and chairs, which for 2 college students was a lot of money! Mike was impressed that it was solid wood, probably only pine because its soft, and I liked the simple style since we didn't really have any plan, just a need for a table. This little table has served us well in the last six years, but I'm ready for something new. Since there's not a lot of space, and there are additional seating on 2 sides, (peninsula and window seat), as well as the liquor cabinet which will arrive next month, I thought something round would be easier to walk around the smaller room. 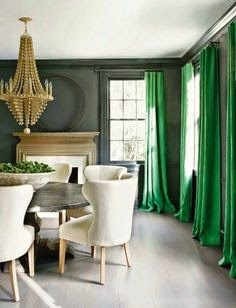 I looked at what I've pinned to my dining room board, and realized a lot of the rooms I liked had round tables as well. My plan was cemented when I visited my parents and family down in Florida last month and 5 of us had dinner at my grandma's round dining table. What usually is set up for 4, adding that extra chair was no big deal, and we honestly didn't feel cramped at all, even with food plates in the center. It was a total light bulb moment. Our current table fits 4, barely fits any extra plates for food in the center, and feels majorly cramped if we tried to add an extra chair. For the long-term we definitely wanted something that could fit more people. We knew we would need something that could add an extension leaf, and I liked the round table idea as well. 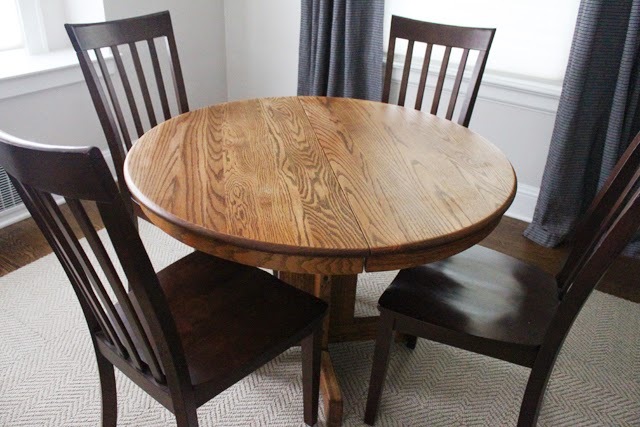 I started searching and found a couple round tables with a nice profile, but all were over $600, which is way above our budget. 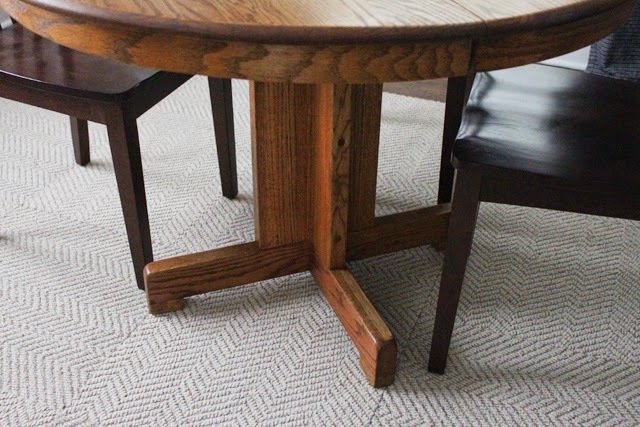 I then turned to Craigslist and found a solid table with clean lines, with an extension leaf. Since it was an hour away I did measure the space and it seemed like it would work, but when we got it home and in place it was a little underwhelming. We wouldn't keep the same chairs, but they were what we had for reference. 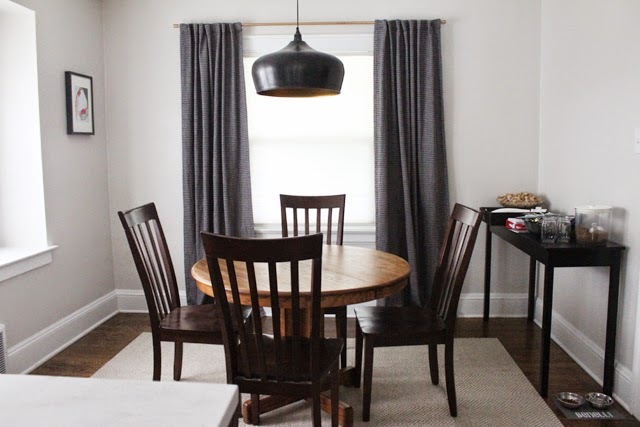 The table is 42" round, and 60" with the extension. 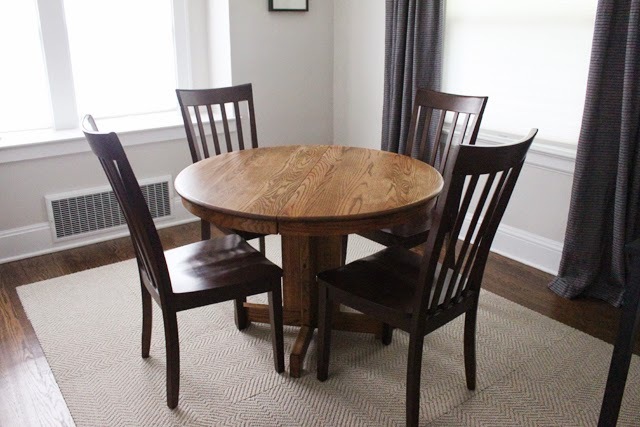 My dream of having a big round table that could add chairs at a moments notice was very short lived. It's a little hard to tell but it was tight with just 4 chairs. I added 4 plates and it took up the whole table. Womp, womp. It's a shame because the base is really awesome. The good news is we only spent $50 on it, so we've got it re-listed for that price and hoping it comes out as a wash. I'm still on the lookout for a round table, and now I know I can't go any smaller than at least 48".